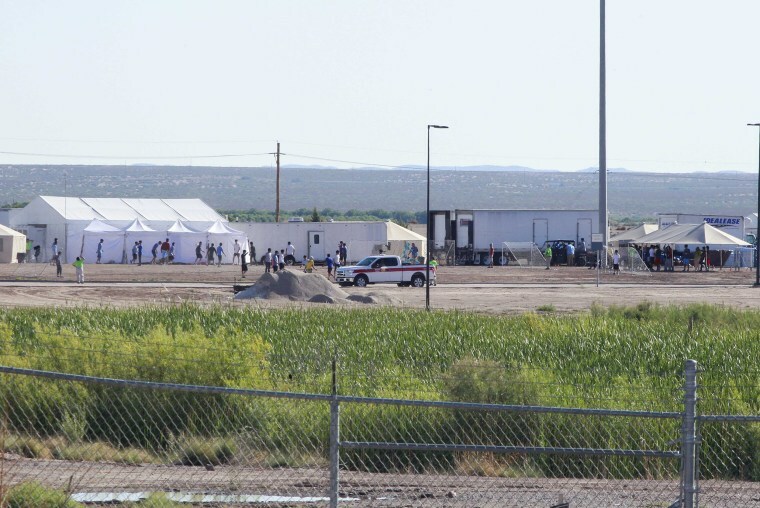 Immigrant children are being routinely and forcibly given a range of psychotropic drugs at U.S. government-funded youth shelters to manage their trauma after being detained and in some cases separated from parents, according to a lawsuit. Children held at facilities such as the Shiloh Treatment Center in Texas are almost certain to be administered the drugs, irrespective of their condition, and without their parents’ consent, according to the lawsuit filed by the Los Angeles-based Center for Human Rights & Constitutional Law. The Shiloh center, which specializes in services for children and youths with behavioral and emotional problems, did not respond immediately to a request for comment. The lawsuit was filed on April 16, days after the introduction of the Trump Administration’s “zero tolerance” policy to separate children from parents who crossed the U.S.-Mexico border illegally. Trump abandoned the policy on Wednesday. “If you’re in Shiloh then it’s almost certain you are on these medications. So if any child were placed in Shiloh after being separated from a parent, then they’re almost certainly on psychotropics,” said Carlos Holguin, a lawyer representing the Center for Human Rights & Constitutional Law. Officials at the Office of Refugee Resettlement (ORR), which oversees such centers, were not immediately available for comment. Taking multiple psychotropic drugs at the same time can seriously injure children, according to the filing, which highlights the need for oversight to prevent medications being used as “chemical straight jackets,” rather than treat actual mental health needs. ORR-run centers unilaterally administer the drugs to children in disregard of laws in Texas and other states that require either a parent’s consent or a court order, the filing said. The lawsuit seeks a shift in ORR policies to comply with state laws and prevent the prolonged detention of children. Some youths at Shiloh reported being given up to nine different pills in the morning and six in the evening and said they were told they would remain detained if they refused drugs, the lawsuit said. Some said they had been held down and given injections when they refused to take medication, the lawsuit said. One mother said neither she nor any other family member had been consulted about medication given to her daughter, even though Shiloh had their contact details. Another mother said her daughter received such powerful anti-anxiety medications she collapsed several times, according to the filing.